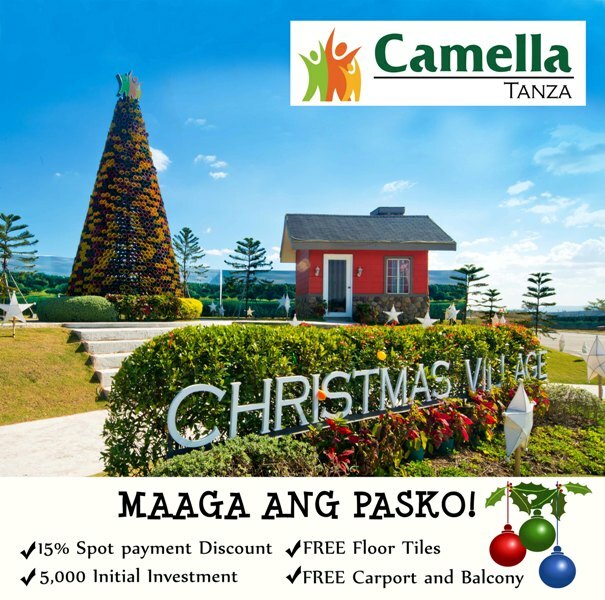 Right at the bustling first-class municipality in Cavite, Camella Tanza is set to be a mega-community with a 500-hectare development in the pipeline, the biggest project of Camella in Cavite. 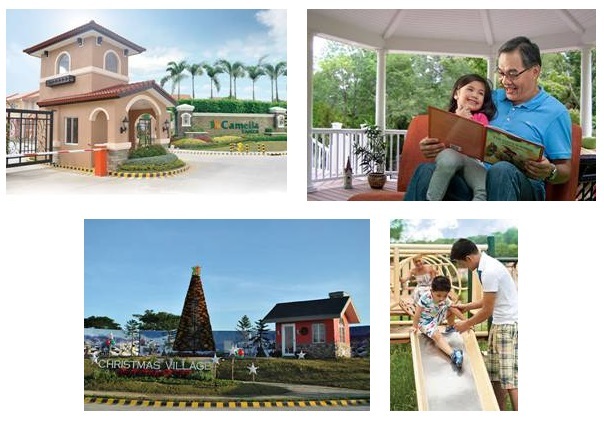 As part of the master plan community, the project offers a 20-hectare commercial area envisioned to have malls, outlet stores, gasoline station, Church and other service stations which will shape up the newest business area in Cavite. It is accessible via several entry points: From Makati via SLEX, and through Alabangand Molino-Paliparan Road; From Manila via Roxas Blvd., through Coastal Road orCAVITEX. Homeowners enjoy amenities like the clubhouse, at their convenience. It has its own guarded entrance gate with 24-hour security, basketball court, swimming pool, parks and playgrounds, perimeter fence and entrance gate, and shuttle service to homeowners. 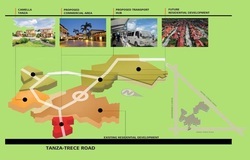 Tanza, a bustling first-class city in Cavite is accessible via several main entry points. 1) From Makati via SLEX, then through Alabang and Daang Hari to NIA Canal, Gen. Trias Road. 2) From Manila via Roxas Blvd., through Coastal Road and CAVITEX. Public transportation abounds with mini-vans that ply the Manila – Tanza and Alabang to Tanza route. 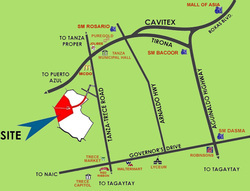 MOA is a short 30-minute drive accessed through CAVITEX. The Manila LRT Yello Line (LRT-1) station at the Asia World City is within a 20-minute drive via CAVITEX Asia World exit. Reach the international airports in less than an hour via NAIA Road exit in CAVITEX. 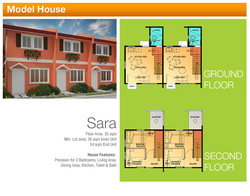 With easy access to schools and malls in Las Piñas and Alabang via the CAVITEX Alabang- - Zapote flyover exit. Pasay pass tru Cavitex. Exit Kawit. Take Centennial road, EPZA diversion road, Antero Soriano Hiway turn left to Tanza-Trece Martires road right to Bagtas road. Time spent in travelling: From MOA – Cavitex (14km or 14mins); Kawit Exit – Tanza (17km or 22mins). 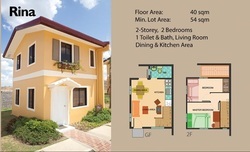 Easy-on-the pocket house and lot packages are available for efficiently laid outMediterranean-inspired 2-storey homes with floor areas ranging from 40 to 97 sqm. The CAVITEX, is a 14 kilometer (8.7 miles) tollway/expressway in the Philippines operated by the PEA Tollway Corporation (PEATC). Along the coast Bacoor Bay, after south of Roxas Blvd. with exits to Bacoor /Las Pinas and Kawit, Cavite. 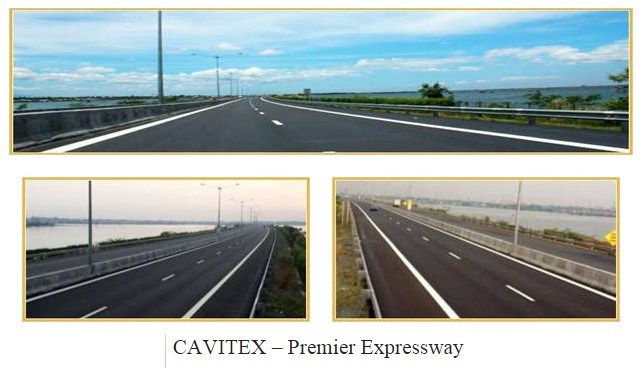 The CAVITEX is seen to ease traffic on major stretch for travelers going to Cavite province, which hosts an export processing zone and other businesses and factories. Travel time will be reduced going to and from the Province of Cavite.